WASHINGTON - Satellite imagery indicates activity at a North Korean laboratory that could separate plutonium for nuclear weapons, a U.S. website that monitors sensitive sites in the isolated country said Monday. The website, 38 North, said that during the past five weeks, exhaust plumes have been seen two or three times at the radiochemical laboratory complex at Nyongbyon, which is North Korea's known nuclear facility. That suggests buildings there are being heated, but it's unclear for what activity. The lab is where North Korea separates weapons-grade plutonium from waste from a nuclear reactor. The North announced in 2013 its intention to refurbish and restart nuclear facilities, including the reactor, which was shut down in 2007 under aid-for-disarmament negotiations it later withdrew from. The reactor has been the source of plutonium for the North's small arsenal of weapons. 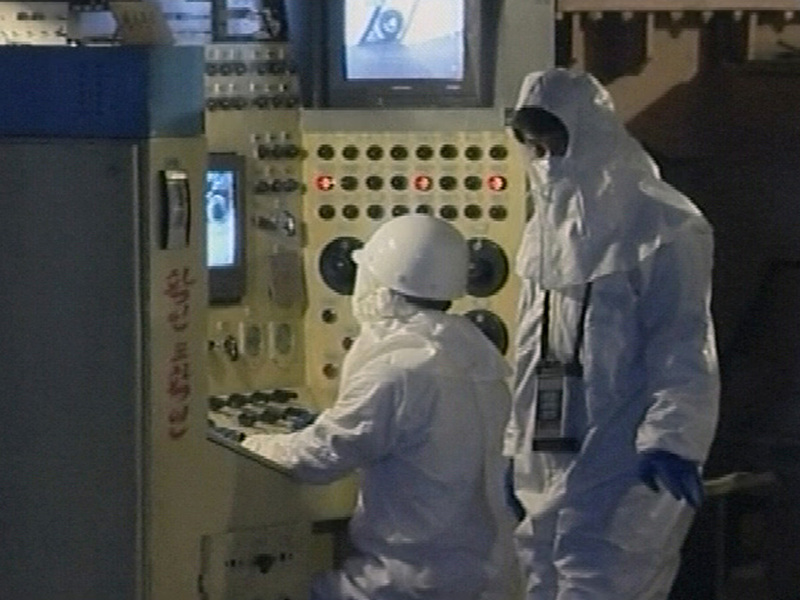 In February, U.S. Director of National Intelligence James Clapper told Congress that North Korea has been operating the reactor long enough that it could begin recovering material for nuclear weapons "within a matter of weeks to months." He was speaking after North Korea had conducted its latest nuclear test explosion in January and then a long-range rocket launch weeks later. The website said the exhaust plumes are unusual and it had not observed any on commercial satellite imagery during the winter. "The plumes suggest that the operators of the reprocessing facility are heating their buildings, perhaps indicating that some significant activity is being undertaken, or will be in the near future. Whether that activity will be additional separation of plutonium for nuclear weapons remains unclear," says the analysis by satellite imagery specialists William Mugford and Joseph Bermudez. North Korea expelled U.N. nuclear inspectors from Nyongbyon in 2009, so it is very difficult to confirm what is happening there. Daniel Russel, the top U.S. diplomat for East Asia, declined Monday to comment about potential reprocessing activities by North Korea, saying it was an intelligence matter. But he told the Institute for Korean-American Studies that North Korea is facing unprecedented international isolation and "no amount of fissile material" will improve its strategic position. North Korea has developed two ways to produce fissile material for bombs: enrichment of uranium and separation of plutonium. U.S.-based experts have estimated that North Korea may already have about 10 bombs, but that could grow to between 20 and 100 by 2020. Tensions are running high on the divided Korean Peninsula. The U.N. Security Council has imposed stiffer international sanctions on North Korea, and since the start last month of annual South Korea-U.S. military drills, the North has threatened nuclear strikes on Seoul and Washington and warned it will test a nuclear warhead and ballistic missiles capable of carrying it.